Junk Food Jones: Pickle What Now? Kentucky is kind of a weird place, geographically speaking. Some people consider my home state the Midwest. Some call it the South. We started out the Civil War officially neutral but after the Confederacy tried to take us by force we said, “Screw you,” and went blue. Still, it was a house divided. My family tree actually contains a pair of brothers who were clichéd (or just plain contrary) enough to fight for opposite sides. I bring this up not to talk about politics but rather pickled bologna. It’s a Midwest snack that found its way down to the southern part of Kentucky where I grew up. 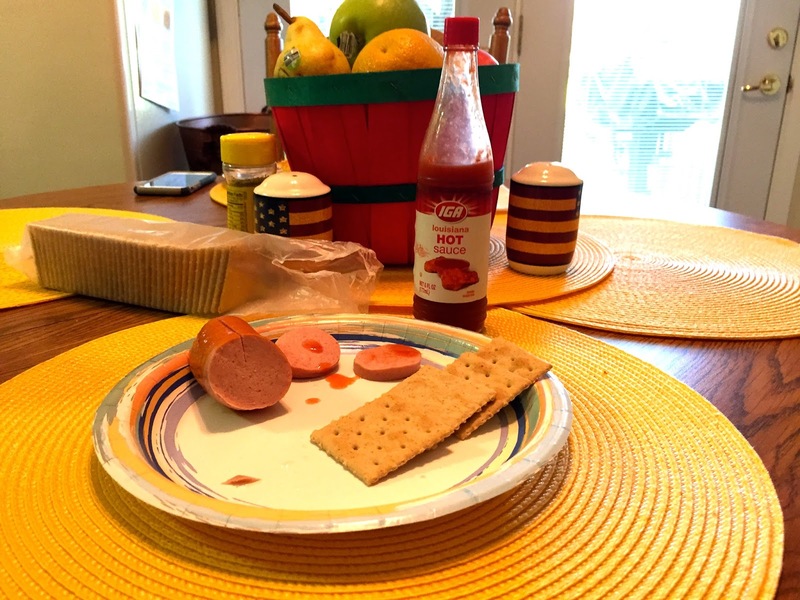 I’ve lived in Los Angeles for five years now and haven’t seen a jar of pickled bologna in that long so when I came home to Kentucky and found some in my parents’ refrigerator I had to revisit a taste from my childhood. I have to admit it doesn’t look that appetizing and, like all sausage, the less time spent thinking about what’s in it the better. But, when you hit it with a shot of hot sauce and chase it with a saltine the vinegary taste is exactly what this Southern/Midwestern/LA transplant boy didn’t realized he’d been missing. Took me right back to childhood. Not bad for an old piece of pickled rope bologna. By-the-way, I don’t know about elsewhere but here in southern Kentucky we call this stuff “pickle dog.” I always assumed that it was because it’s kind of a pickled hotdog but, now that I think about it, maybe I’d better read that ingredient list on the jar after all.